In order to aid the growth of plants and crops in farms, compost is made from recycled materials to act as a fertiliser, but what makes this so important? In honour of Learn About Composting Day on 29th May, we thought it appropriate to provide a simple run down of what exactly composting is, what can be recycled and how water storage tanks can be used for your home and business. The simple answer to this question is this – compost is the result of recycled materials that have broken down over weeks and months. Water, carbon and nitrogen are introduced intermittently to aid the process. 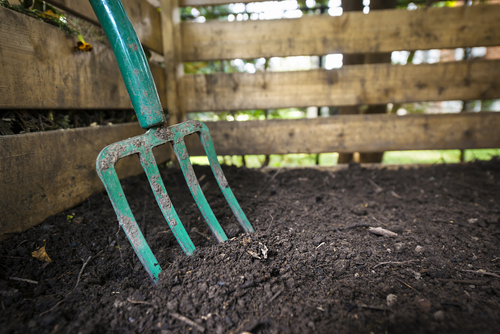 Compost is rich in vital nutrients that can aid soil in helping to grow plants and crops. It is often used in agricultural, gardening and landscaping sectors because compost can be used to condition and fertilise the soil easily. There are two main reasons why private individuals and businesses make use of composting. One is to save money on investing in other outside materials, and the other is to remain as environmentally friendly as possible. Compost benefits gardens and farmland with a natural element, without the potentially harmful bacteria, just the same as water storage tanks do through rainwater harvesting. There is a wide range of materials that can be composted. As long as there are only natural elements present, such as leaves, organic foods and manure, it is fine to be included in your compost. If you are unsure of anything that can be composted, look into what has gone into making the product – for instance, 100% cotton ear buds can be used for compost, as long as they do not have any plastic. In the event that you cannot determine definitively that all elements are organic, then it is best to leave it out. To help with composting, a storage tank can help in a number ways. The primary use of our tanks is to store water which can be used in the composting process, and also help with feeding the garden or farmland rainwater, which is better than tap water. Another use for our storage tanks is to use as a place to keep compost. As tank manufacturers, we can build purpose built tanks for liquid or dry storage, which can allow for large amounts of compost to be stored efficiently. For more information on investing in a storage tank, please call the Tuffa team on 01889 567700 today or fill out an enquiry form.